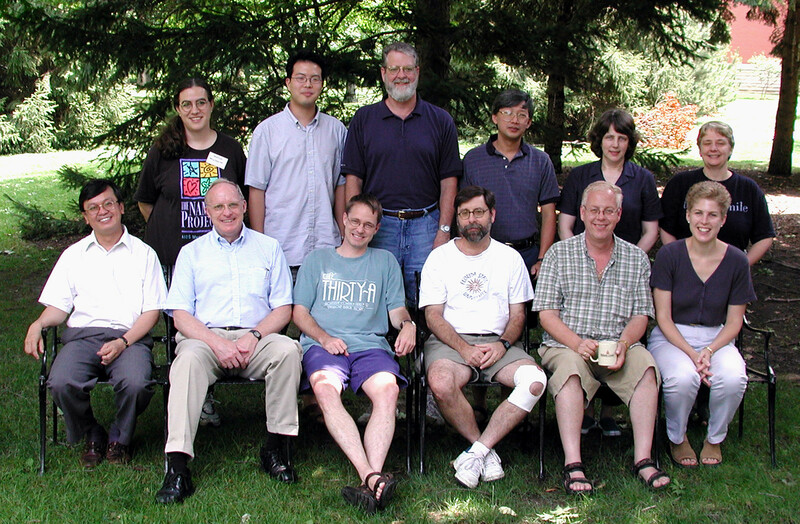 Front Row (left to right): *Leong Seow (Princeton Theological Seminary), *Raymond Williams (Wabash Center), F.W. “Chip” Dobbs-Allsopp (Princeton Theological Seminary), David Levenson (Florida State University), Gordon Hamilton (Huron College Faculty of Theology), Christine Yoder (Columbia Theological Seminary). Second Row: Elizabeth LaRocca-Pitts (Duke Divinity School), J.P. Kang (Union – PSCE), Mark Throntveit (Luther Seminary), Jeffery Kuan (Pacific School of Religion), Pamela Scalise (Fuller Theological Seminary), Jo Ann Hackett (Harvard University). Not Pictured: Vicki Hoffer (Yale Divinity School), Benjamin Sommer (Northwestern University), Neal Walls (Candler School of Theology), Wyn Wright (Union Theological Seminary, NY).